Since its commencement, PARCS has been focusing on the relationship between physical and overall wellbeing and built environment among adults. 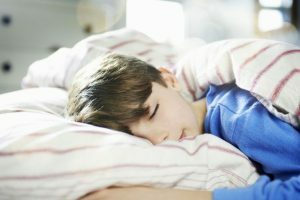 This spring, we expanded our focus and began working with children as well, conducting similar measures on activity and adding a component to track sleep, to gain a more comprehensive view of movement across a full 24-hour period. A recent study published by Pennington Biomedical Research Center explored this 24-hour cycle as well, by analyzing the relationships between physical activity and amount of sleep with BMI to gauge the relationship between overall daily movement and weight. The Pennington Study included a sample of 357 White and African American children aged 5-18 from Baton Rouge, Louisiana. Measurements were taken on physical activity, amount of TV viewing, and sleep duration via questionnaires. Height and weight were also measured to calculate participants’ BMIs. Activity levels were compared against current 24-hour movement guidelines for physical activity, sedentary behavior, and sleep. This study provided a few interesting results. Researchers found that meeting each of these guidelines was significantly associated with lower body fat mass and BMI. Additionally, the more guidelines that were met, the greater these decreases in body mass were. For children who reached guidelines of all three measures, their odds were 89% lower than those who met none of the guidelines. The odds were 40% and 24% for children who reached two or just one of these guidelines, respectively. Although BMI is not a specific outcome of interest for the PARCS study, these findings are still important and relevant to us. This study showed that increased physical activity and amount of sleep lead to improved health outcomes. 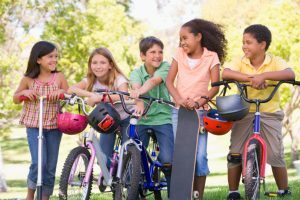 Frequency of physical activity typically increases when children have access to safe, clean outdoor spaces. By building and sustaining robust outdoor spaces, we can positively impact levels of obesity and overweight in children. ← PARCS is on Facebook!